It was a scene worthy of the third Omen movie. Late in the evening on New Year’s Eve, 1999, Boris Yeltsin announced his resignation as president of Russia and the elevation of his successor Vladimir Putin—the new “strong hand” for a new millennium. Neither Russia nor the rest of the world realized what his elevation and subsequent election meant at the time, but maybe we shouldn’t judge ourselves too harshly. Vitaly Mansky only had an inkling of how bad things could get, even though repeatedly filmed Putin up close and personal for a series of documentaries broadcast on Russian state television. Mansky still had all his raw footage, so he was able to reassemble it into an eerie chronicle of Putin’s solidification of power. Hindsight is disconcertingly spooky in Mansky’s Putin’s Witnesses (trailer here), which screens as part of a mini-Mansky retrospective at the 2018 Camden International Film Festival. Mansky is no stranger to controversy. He rather ticked off two oppressive regimes when he turned the Russian financed puff piece he was supposed to be shooting in the DPRK into Under the Sun, an expose of the pariah nation’s propaganda techniques. He now resides in Latvia. Putin’s Witnesses will make it even more difficult for him to return to his homeland for the foreseeable future. At times, the fly-on-the-wall footage Mansky captured is just jaw-dropping. We see in no uncertain terms how Putin’s campaign team staged events for the benefit of the complaint state media, like the supposedly spontaneous visit to his beloved grey-hair elementary teacher (actually, that was Mansky’s idea). It also clearly contradicts the notion that Putin was too busy with affairs of state to engage in a traditional campaign. Simultaneously, Mansky was also working on profiles of Yeltsin, so he has ample footage of the late president and his family reacting to his hand-picked successor electoral victory and the early months of his first full term. As you might expect, their initial elation gives way to pronounced disappointment. 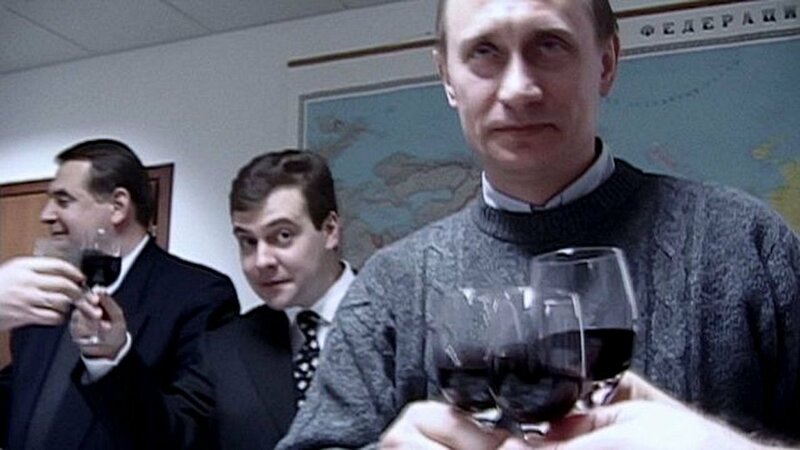 Yet, easily the most telling sequence in the film occurs during election night at the Putin campaign war room, allowing Mansky to explain how nearly the entire inner circle have now joined the opposition or died under mysterious circumstances. Arguably, the most important (and under-reported in Western media) events Mansky documents involve Putin’s re-embrace of Soviet anthems, banners, and iconography. It is pretty surreal to watch Nikita Mikhalkov, the director of Burnt by the Sun, and his composer father de-Communizing an old Soviet marching dirge, but Mansky has the footage to prove it happened. Frankly, every conservative drinking Trump’s Russian Kool-Aid needs to see this film. Remember Reagan and the Cold War? The Gipper would recognize Putin for exactly what he is: a tyrant and a dangerous enemy of the Free World. Like Under the Sun, Putin’s Witnesses is a pretty gutsy work of documentary filmmaking. What really distinguishes the latter from other Putin docs is the way Mansky ruthlessly judges his own culpability. He had misgivings about the former KGB agent right from the start, but he still participated in Putin’s PR campaign. Yet, if someone else had done it, the world would most likely never have the chance to see this footage. Editor Gunta Ikere also deserves enormous credit for helping shape Mansky’s footage into such an urgent and compelling narrative. We see, slowly but surely, how democracy is undermined and freedom is lost. 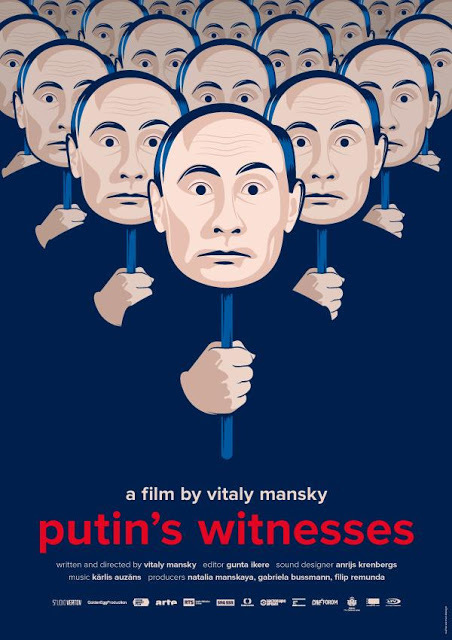 Very highly recommended, Putin’s Witnesses screens Friday evening (9/14), as part of this year’s CIFF.